Enjoy a breathtaking flight over the Napa Valley (approx 1 hour) with an after-flight champagne brunch at the “Michelin Awarded C Casa at Oxbow Public Market”. Elevate your experience with Napa Valley Wine Country Tours who will chauffeur you through the valley as you enjoy an exceptional wine country tour. What makes our wine tour package different than the rest? Napa Valley balloons, of course! 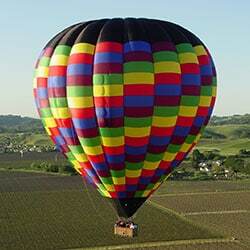 Our wine tour package includes an approximate 1-hour hot air balloon ride, which can also be taken on a different day from your winery tour. If you choose to do both on the same day, you’ll be picked up after brunch to head on to your wine tour adventure. Your day starts with pre-flight coffee and pastries at the Model Bakery located outside of the Napa Oxbow Market. After you board our vans, we’ll transport everyone to the launch site where you can witness the final stages of inflation before joining your pilot. Photos will be taken once you’re in the basket, and they’ll be available for purchase during brunch. 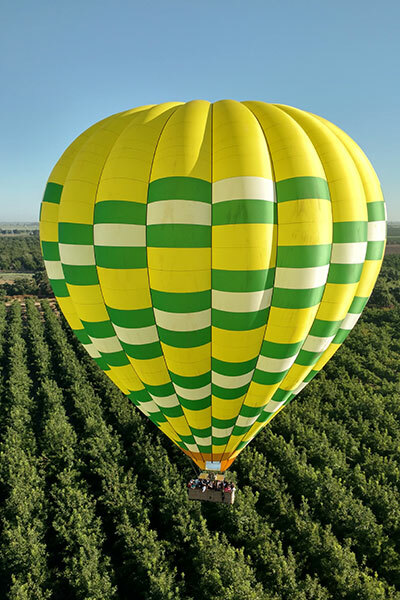 After your amazing hot air balloon flight and delectable brunch, Napa Valley Wine Country Tours will, between 10 a.m.-11 a.m., whisk you away on your next adventure! Your wine tour chauffeur will put together a fun day that includes a visit to 4 to 6 premium area wineries that cater to your wine preferences (tasting fees not included). You’ll sample choice wines from some of the area’s finest boutique wineries known for their welcoming ambience and excellent tasting experiences. Your tour is accompanied by a 4-course lunch: turkey on a roll, pasta, tossed greens and a seasonal dessert, which will be served between winery tours. You’ll travel in style from winery to winery in one of many luxury vehicles, including a variety of Lincoln and Mercedes models, limos, and limos busses, or even a limo trolley! Your driver has extensive knowledge of the Napa Valley area and, in addition to educating you on grape growing and winemaking, will share her or his entertaining insights of the local scene. From picturesque views of wineries and vineyards to breathtaking vista backdrops, you’re sure to be impressed with all the Napa Valley has to offer from above. 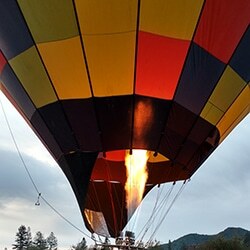 Your Napa Valley balloons adventure awaits!